Transliteration of Arabic into English is not a perfect art - many place names will have multiple spellings in circulation making life a little difficult. 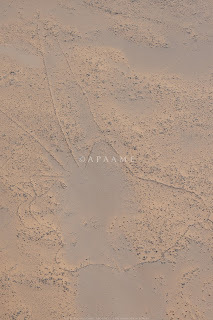 We received some clarification from a native Arabic speaker who is also fluent in English regarding 'harrat' - lavafields, over which many of the prehistoric stone built structures such as kites, pendants and wheels are built. The follow advice we hope you will also find informative and useful. If you are talking about one lavafield it is harra (singular). Two or more is harrat (plural). (Harrat Khaybar would mean the lavafields (plural) of Khaybar). 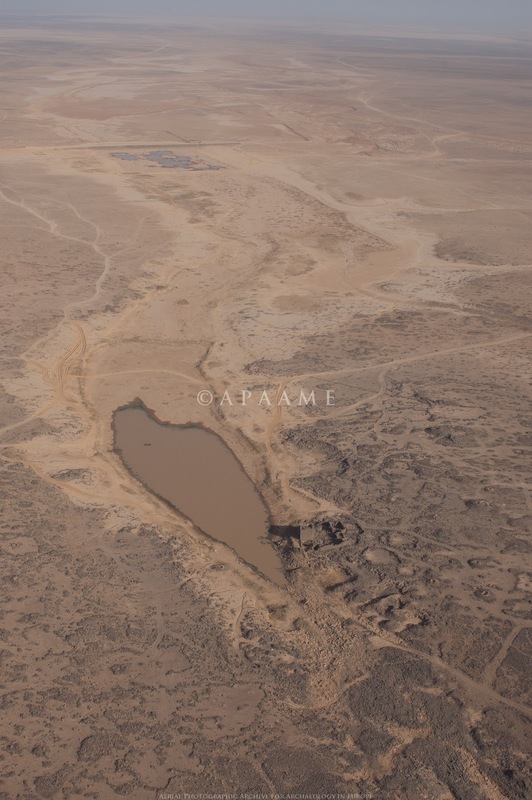 Used in conjunction with a specific name it becomes Harret - The great lavafield sprawling across northeast Jordan and into its neighbours is Harret al-Shaam. In Jordan they commonly simply refer to it as Al-Harra. 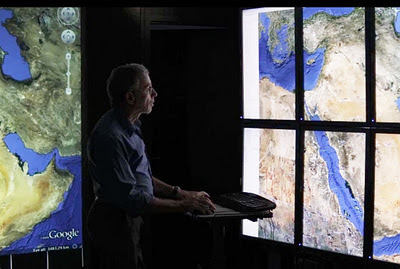 Having been distracted by Jordan and the wondrous Harrat ash-Sham, it is only recently that we returned to monitoring what high-resolution imagery had become available in Syria. 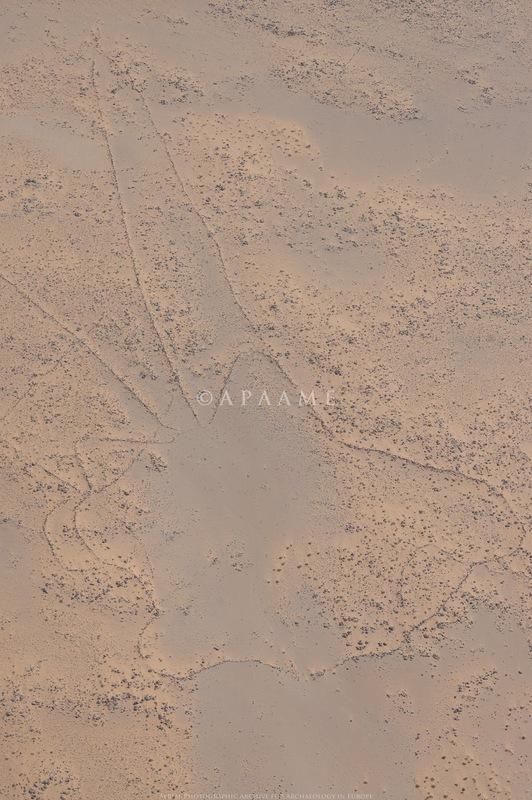 A large section of imagery north east of Tadmur (Palmyra) has kept us busy with these stunning kites, as well as a few pendants and bullseye cairns. Bullseye Cairns along a ridge, Syria. A cluster of Kites, Syria. Two Pendants along a ridge, Syria. We have two new publications out recently. 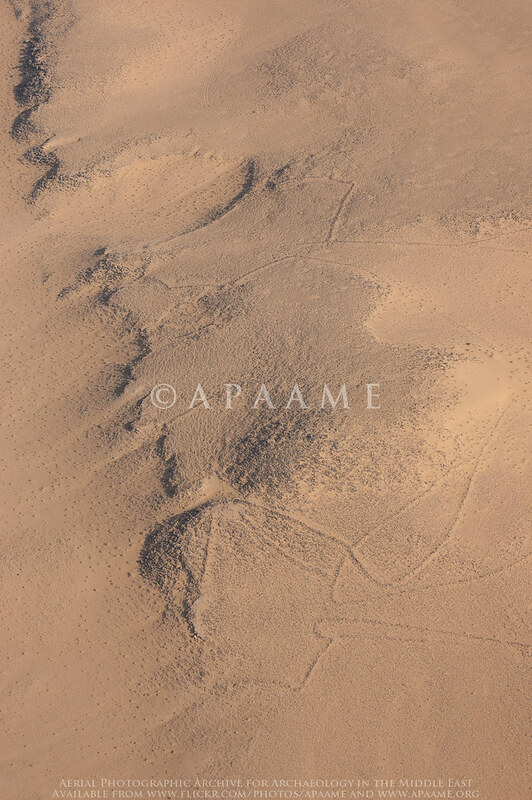 Hibabiya, a site in Jordan that has recently been destroyed, was initially identified as a prehistoric village from aerial photography conducted by the 'Pioneers' in the Transjordan in the 1930s. Reassessment of the aerial imagery and the discovery of crucial dating evidence collected well before its destruction suggests an early Islamic date. Kennedy, D.L. 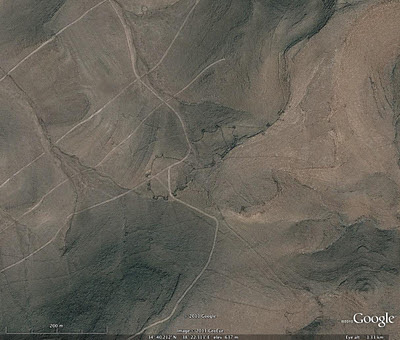 (2011) 'Recovering the past from above: Hibabiya-an early Islamic village in the Jordanian desert? ', Arabian Archaeology and Epigraphy 22: 253-260. Kennedy, D.L. 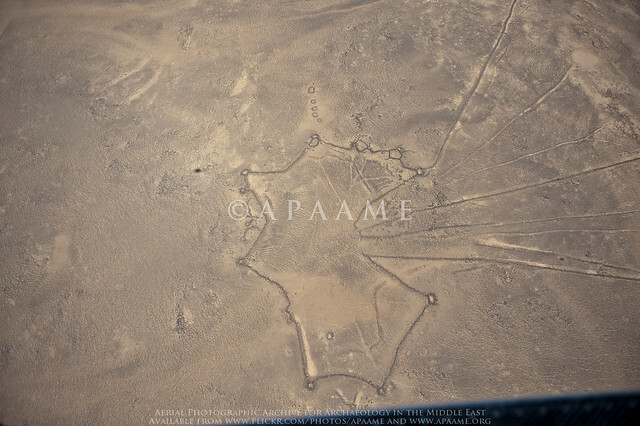 (2011) 'The 'Works of the Old Men' in Arabia: remote sensing in interior Arabia', Journal of Archaeological Science 38, 3185-3203. Full colour images of the whole paper only available in the online version due to printing restrictions in place by the publisher. Final flight of the season online! 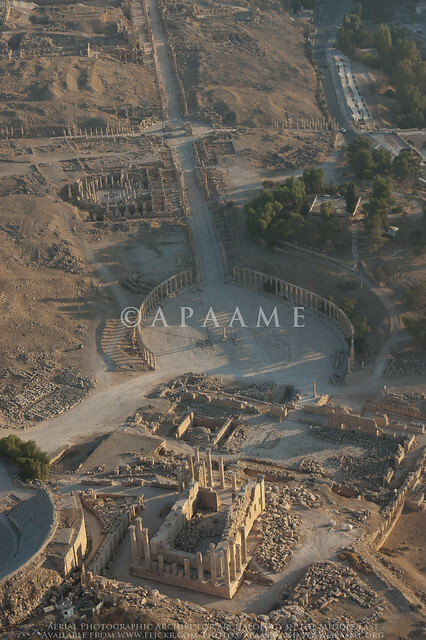 Tomorrow will see our last day in Amman for this year's season of flying. It has been a spectacular six weeks with over 30 hours of flying undertaken and over 10 000 photographs taken. 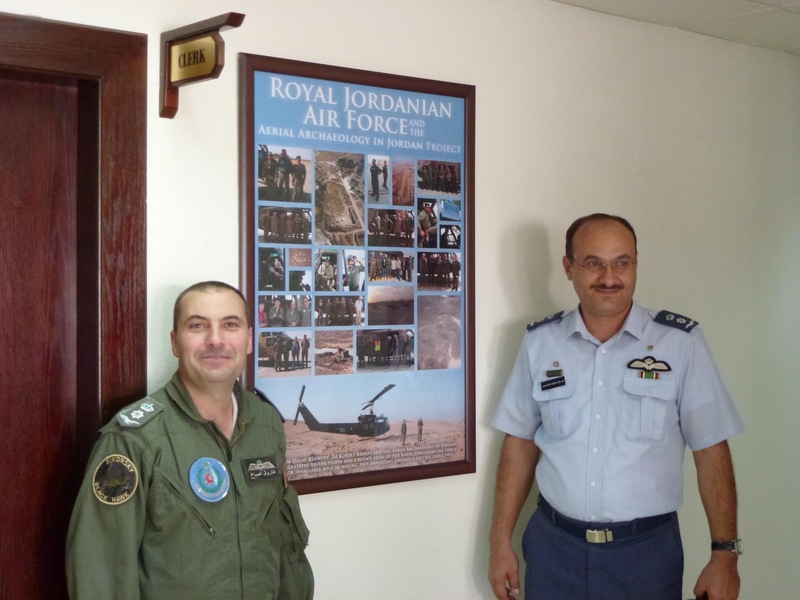 We would like to thank the British Institute, Amman (BI) and the Royal Jordanian Air Force (RJAF) for once again accomodating us in Jordan and for their continual enthusiasm for our project. We would also like to thank the many individuals that make this project a success, both on the ground and in the air, and the colleagues who have approached us and taken our flying in new directions. 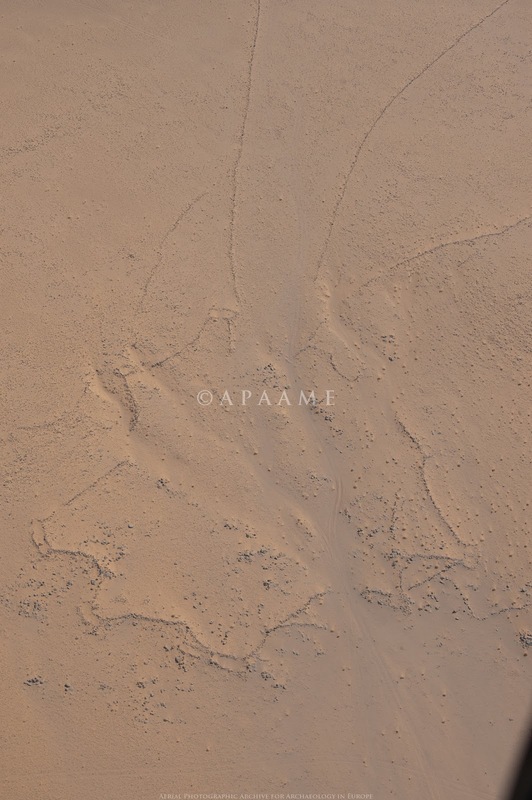 On our last flight, 20111027, we found something we never knew we had lost, a series of kites across the desert of Jordan that had almost been completely swallowed by the desert sands. These kites were not visible on satellite imagery available through Google Earth and Bing Maps which we use for a preliminary survey of the area before we fly. 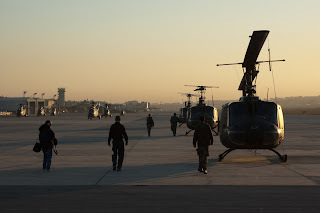 It was only through low level aerial reconnaisance that we were made aware of their presence. The state of preservation of these kites is so poor that they again disappeared when viewed at low oblique levels and would be completely invisible to anyone driving or walking past. When you are in the field with your team, certain characteristics begin to be revealed... like how our Director and fearless leader has the ability to attract small and cute animals. 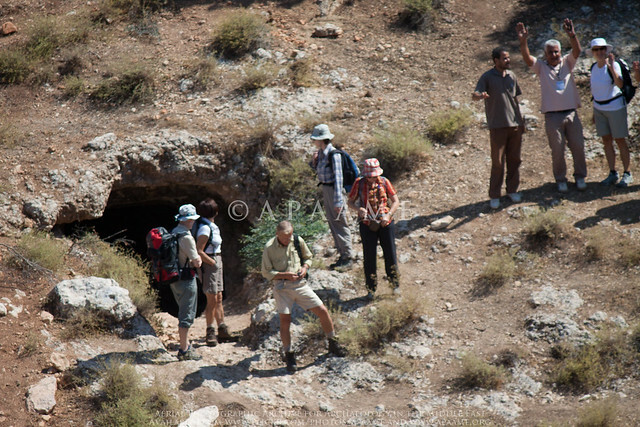 The animal in question tagging along on our archaeological investigations at 'Bir el-Buhai'. Photo: Rebecca Banks. 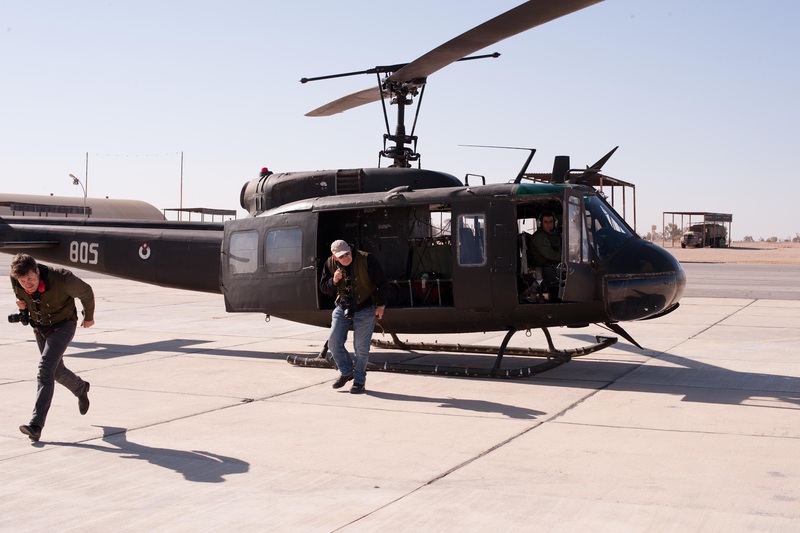 A very successful last flight (20111027) yesterday for this visit to Jordan. The clouds from the past couple of days cleared and the pilots were magnificent, as usual, with a very smooth day of flying over the basalt had by all. 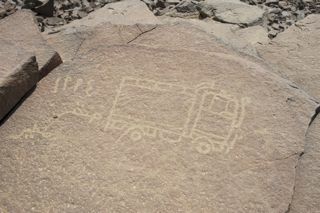 Some areas were extremely dense in wheels, pendants, kites and cairns and this resulted in a huge 3500 pictures taken. 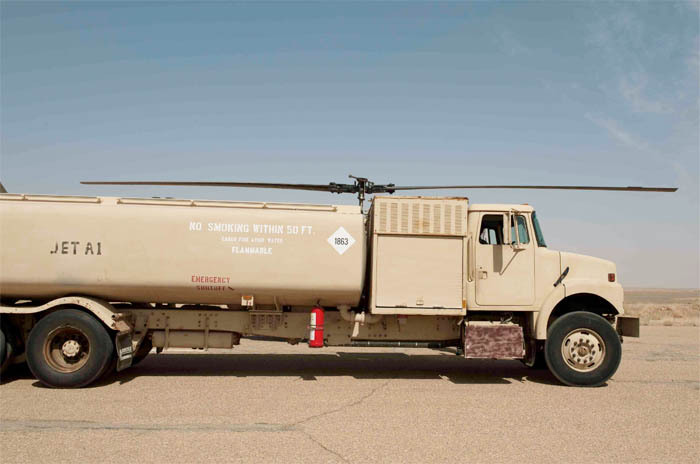 While at Ruwayshid Air Force Base the team spotted this recently developed North Korean helicopter. What it lacks in style it makes up for in range. Yesterday was a long six hours in the air, but the results speak for themselves. We are currently cataloguing but here is a sneak peak at what shall be up on our flickr archive shortly. It is easy to think of ancient ruins as being frozen in time but they have become a part of a living landscape, as these little critters reminded us. 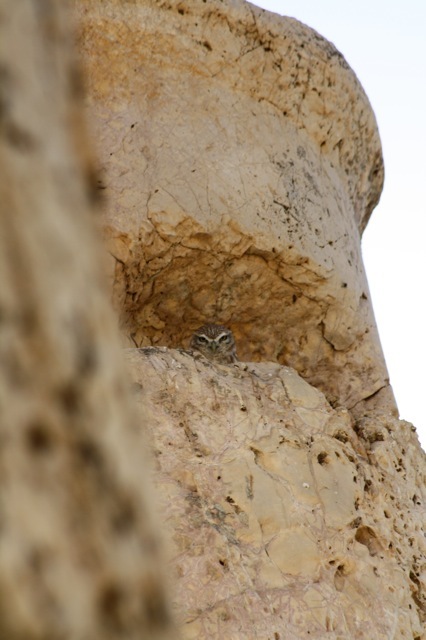 An Owl peeks out of its hidey hole in a column at Pella (modern Tabaqat Fahl). Photo: Karen Henderson. A lizard soaks up the sunlight in the ruins of Jarash (ancient Garasa). Photo: Rebecca Banks. 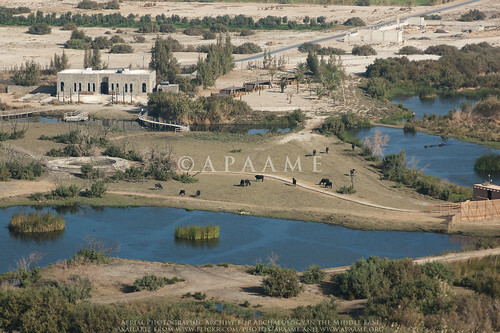 From the Baptism Site. Photo: Bob Bewley. 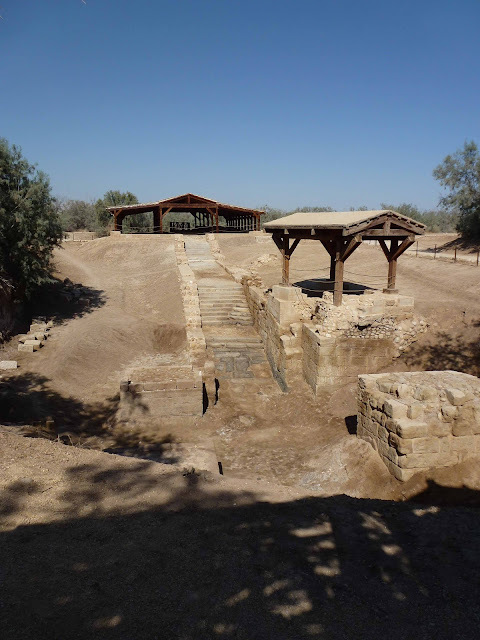 There can be fewer more important sites in the history of Christianity than the location of Jesus' baptism by John the Baptist - 'Bethany beyond the Jordan'; this was where it all began. The site, which only became accessible in the 1990s due to its sensitive border location, now has its own website (http://www.baptismsite.com). The Baptism site proper; the website shows a photograph with water in the bottom, but generally this is not watered on a regular basis. Photo: Bob Bewley. Jesus left Nazareth, until he reached Bethany beyond the Jordan and went to John for baptism. Jesus joined in the line of penitents asking for baptism, yet he was pure, free from all sin. He was the one who would say to the Jews, 'Who among you can provide evidence that I have committed a sin'. John knew of Jesus from the revelation and inspiration of the Holy Spirit (John 1:32). John, however, objected to baptizing Jesus saying, 'I am the one that needs you to baptize me!' But upon Jesus' continued insistence, John acquiesced and baptized Jesus in the Jordan River. Therefore, the water of the Jordan River became holy and all the waters that flow along the baptism site were purified, reviving the souls of people at every place and time. 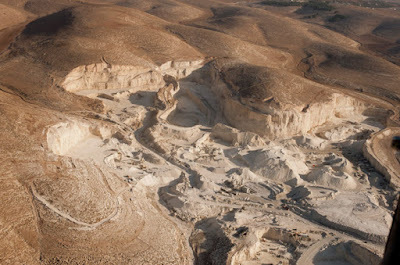 The West Bank, as viewed from the Baptism site. Photo: Rebecca Banks. For both pilgrims and merely interested tourists there is so much symbolism surrounding the visit (not cheap at 12JDs per person), which earns you an audio guide and a short bus ride to the start of a 45 minute walking trail. There is also a so-called tour guide - but ours was more of a 'whipper-in' than anyone who wanted to ensure we had a meaningful or interesting visit; always rushing us on. 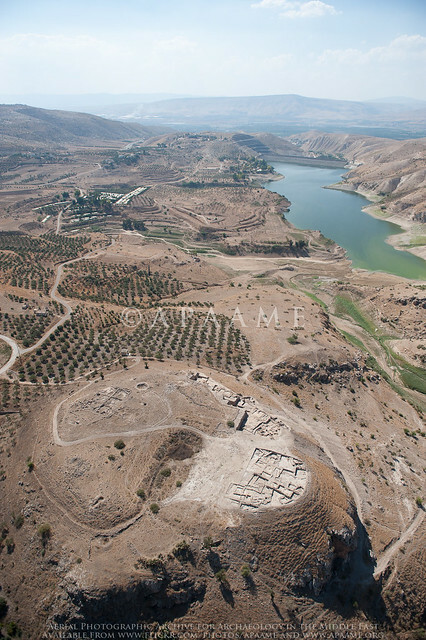 This is the one place where Jordan and the Israeli occupied West Bank (see photo above) all but meet - sans frontiere, across a few metres of highly symbolic river. On the Jordanian side visitors arrive via the baptism site itself (now 100m from the current river, as result of the lack of water in the river Jordan); on the other side there are no archaeological features but a well-constructed limestone terrace (which I imagine is part of a visitor centre) and steps leading you down to a piece of water on the opposite bank of the river from the baptism site. There is a Greek Orthodox church, newly built in traditional style and which will become a place of pilgrimage itself. There are tantalising glimpses of other newly built churches - one looks to be a Russian Orthodox one; another is part of the former monastery on Elijah's Hill, but there was a distinct lack of information or orientation - all in all a missed opportunity but a fascinating place nonetheless and well worth the trip. 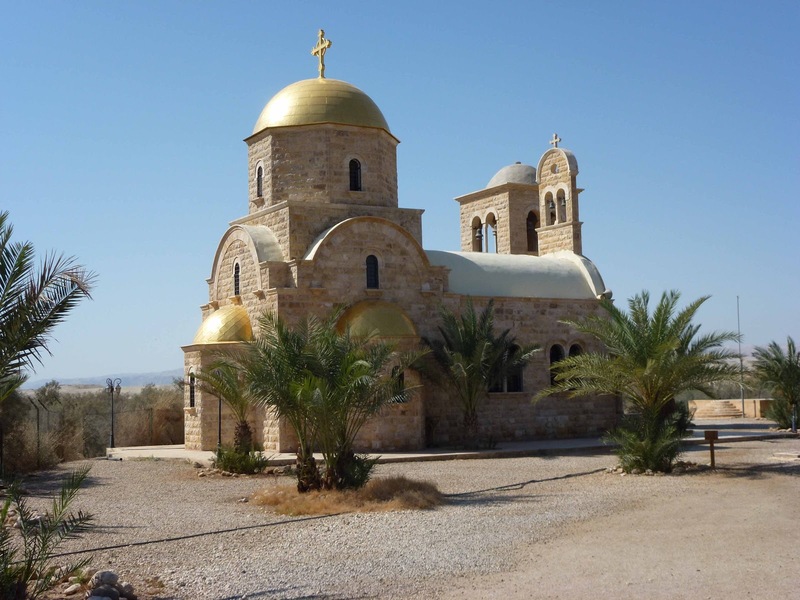 The reconstructed Greek Orthodox Church. Photo: Bob Bewley. 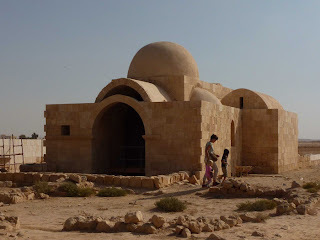 We awoke in the very small hours of Sunday morning to set out to a special area of Jordan - Mesa Country. East of Azraq on the edge of the Harrat ash-Sham lie a series of Basalt mesas (flat topped hills). 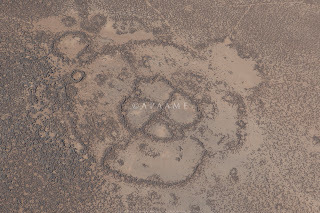 On and around these mesas are an assortment of stone built structures - Wheels, Kites, Cairns, Tower Tombs and Pendants, which in this region were first described in the 1920s by pilots of the Royal Air Force on the Cairo-Baghdad airmail route. It was this landscape that we set out to investigate. We broke from the main road at dawn and watched the sun rise over the desert as we rattled our way slowly down a questionable track - often no more than a pair of wheel ruts over the pebbly desert floor. 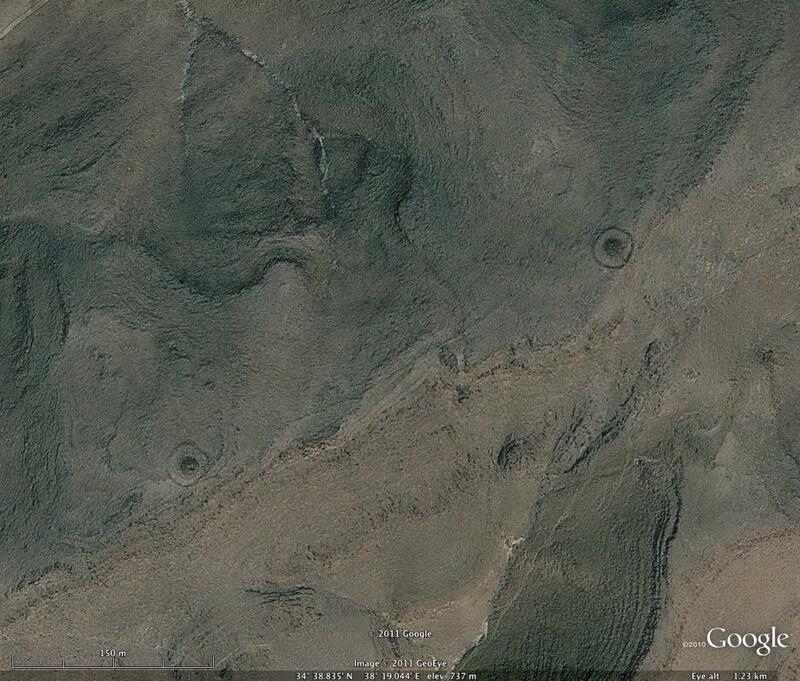 Our first stopping point was a couple of Wheels surrounded by Cairn Rings. These were almost unrecognisable from the road, but as we got closer the walls began to be apparent. One was nestled in the slope of the hill while the other lay prominently on top of a rise of basalt boulders. 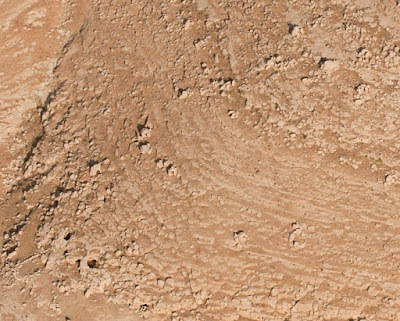 Between these Wheels was a Bullseye Cairn - unfortunately illicitly excavated - but still associated with some Safaitic inscriptions and flint artefacts. Rajil Wheel with Cairn Ring in the early morning sun. Photographed by Rebecca Banks. On the agenda was climbing four of this group of Mesas - Qattafi Mesa 2 (named 'Tell A' by Rees, an RAF pilot), Mesa 3, 'Maitland's Fort' (Mesa 4, again named by an RAF pilot) and Mesa 7 or 'Boyer's Butte' as we have come to know it. It sounds easy, but when you have one of these sitting infront of you, you begin to doubt your fearless leader. After a bit of courage and some concentration not to put your weight on the wrong boulder, you reach the top and the view is absolutely breathtaking. Not a living soul in sight, and the only noise is the wind. 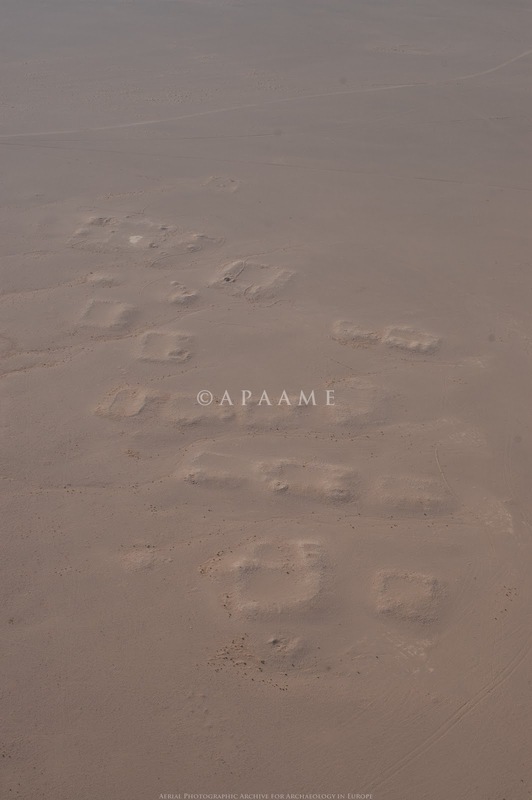 The most prominent features of these mesas are Tower Tomb Cairns, visible as small 'pimples' on their surfaces, easily visible from surprisingly far away. The size of the rounded basalt boulders on these mesas provide the perfect building material to construct these large burial mounds and other features. On two of the mesas, these Tower Tombs were incorporated into Pendants - a tail of smaller cairns connected to the larger burial cairn at the head. 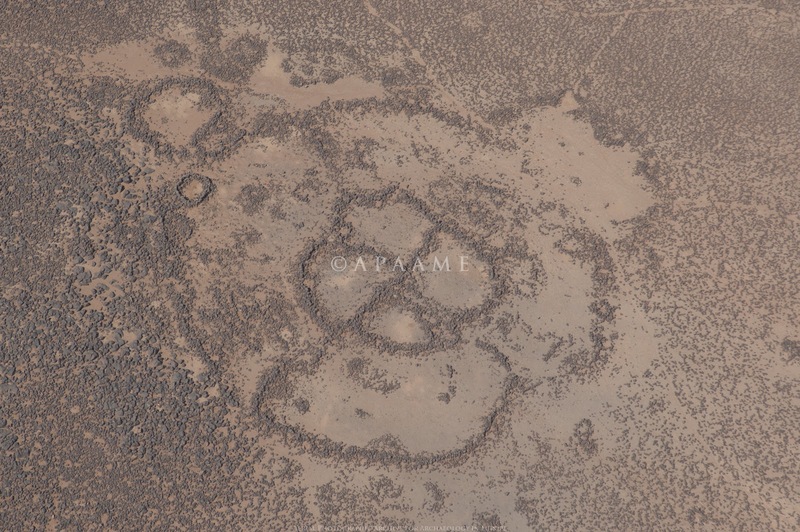 Other cairns also littered the surface of the mesas, but it was predominantly the Tower Tombs that had associated inscriptions, varying from ancient to modern. Unfortunately many of the cairns we came across had been illicitly excavated, with the interiors hollowed out by those looking for burials and assosciated grave goods. As a result it will be very difficult to verify how many of these cairns were indeed used for burials, or whether they served another purpose. Our Pajero after running afoul of a wayward stone. Photographed by Rebecca Banks. 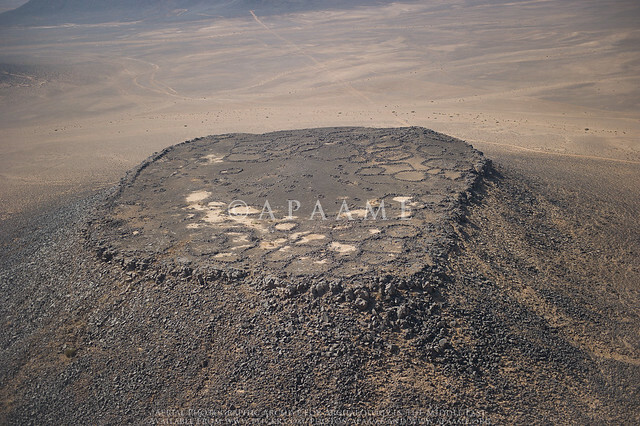 Safaitic, Greek and Arabic inscriptions are found all through the basalt deserts of Jordan and beyond, sometimes in proximity to ancient Cairns and other structures - but not all of them are ancient. 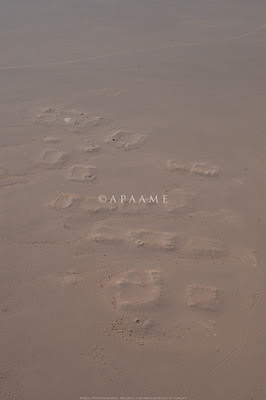 Here are some we came across yesterday on the top of the basalt Mesas east of Azraq that we suspect are a little more modern. What could have made us so suspicious? An Arabic inscription on Qattafi Mesa 7. Photo: Bob Bewley. An Arabic inscription on a tower tomb atop Qattafi Mesa 3. Photo: Rebecca Banks. A dolmen at al-Murayghat (with 1m scale). Photograph kindly provided by Stephen Savage. We had been asked to look at an area of limestone south-west of Madaba in this season’s flying, because of the threat to the dolmen landscapes from quarrying. In previous years we have always found it difficult to locate and photograph the dolmen (Bronze-age megalithic tomb structures), because they are generally quite small and made of the same stone which surrounds them. However on Monday we were lucky with the light and these images show the impending threat. 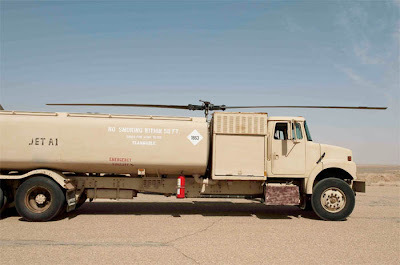 The request for theses images was from Steve Savage, who also provided some ground shots. We will be doing all we can to see if these fragile remains can be saved from the inexorable quarrying in the vicinity. On the aerial images the small rocky features are the dolmen, and the quarry speaks for itself. 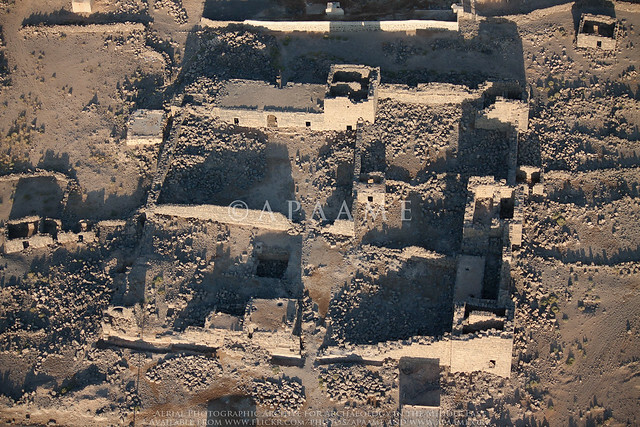 The fortress of Qasr el-Hallabat, in the process of restoration by a Spanish team lead by Dr Ignacio Arce. APAAME_20111004_MND-0463 photographed by Mat Dalton. 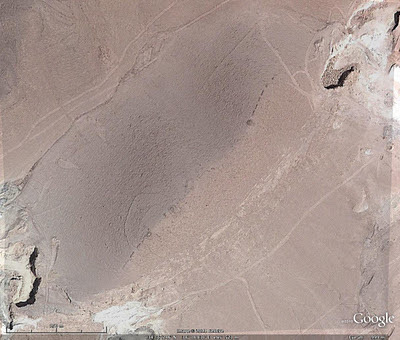 The southern portion of sites flown over in Flight 4 20111010 as pinned in Google Earth. Image: Google Earth. We are madly cataloguing our photos from Flight 4 today before we go back in the air for Flight 5 on Thursday. 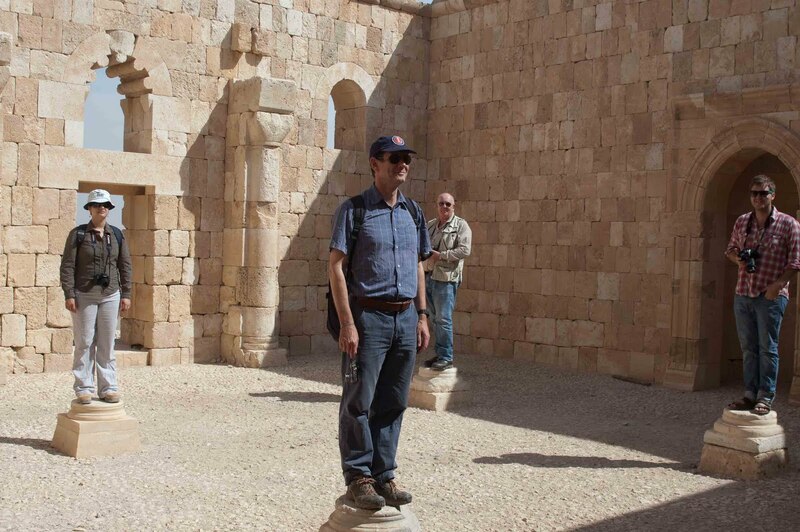 AAJ Team members Karen Henderson, Bob Bewley, Don Boyer and Mat Dalton practice standing still in the Mosque at Qasr Hallabat. Photographed by David Kennedy. Recent arrivals for this season include myself from the UK, Karen Henderson and Don Boyer from Australia. 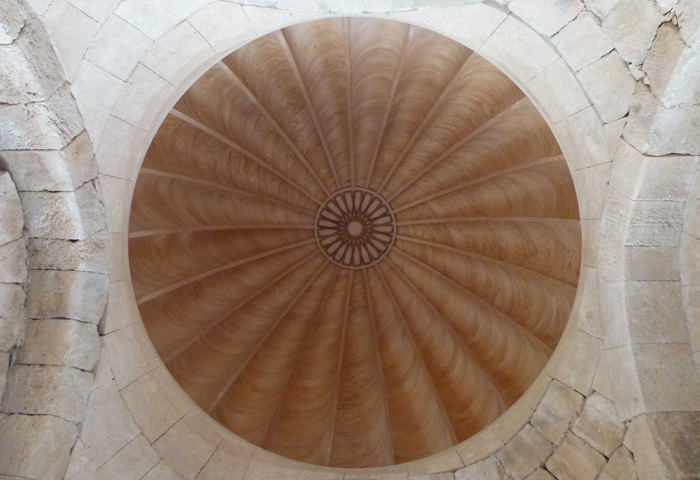 Don’s arrival was the most impressive; he hardly had time to drop his bag inside the door of the Institute and he was being whisked off, with the rest of us, to Qasr Hallabat (see Ancient Jordan from the Air pages 177-178, and looking very different from today). However that’s getting ahead of ourselves: yesterday David, Mat and I went to look for a Roman road, spotted at the end of last season in the western suburbs of Amman. 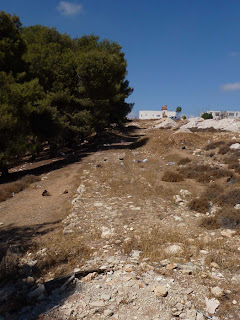 We have spent many hours, on previous excursions, both driving around and flying around possible Roman roads, but this time we found it first time; excellently well preserved in one small section but completely trashed in others – either built over, scraped away or piled up with stones and rubbish. Having had success here we had a plan to go to the Wadi Seer for Mat to see Qasr al Abd (also known as or Iraq al Amir, which is the name of the nearest town); one of the most wonderful places in the region, and after a slight detour the plan worked. The building is such an amazing architectural statement – built by Hyrcanus, one of the Tobiad (a Hellenistic family) - clearly a demonstration of their wealth and status. 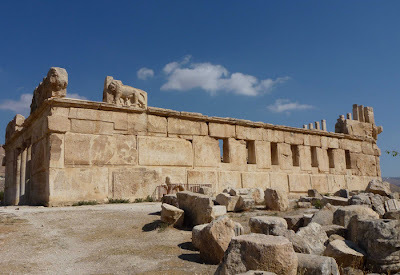 The size of the limestone blocks is incredible (and clearly from the Greek tradition going back to the buildings at Mycenae – though this is much later). Unfortunately the size of the stone construction was also its downfall, as the next earthquake (in 365 AD) brought the stone blocks crashing down, not to be restored until the 20th century. 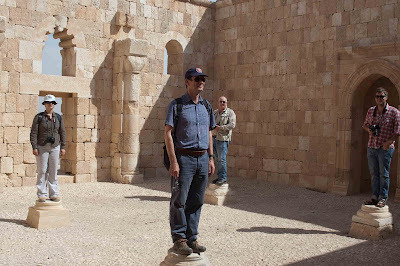 On Saturday David had been invited by the excavator and restorer of Qasr Hallabat (Dr Ignacio Arce) to accompany him and a few Italian visitors to visit the site. We tagged along, as did a few more Italian friends, so we were a party of almost 15. 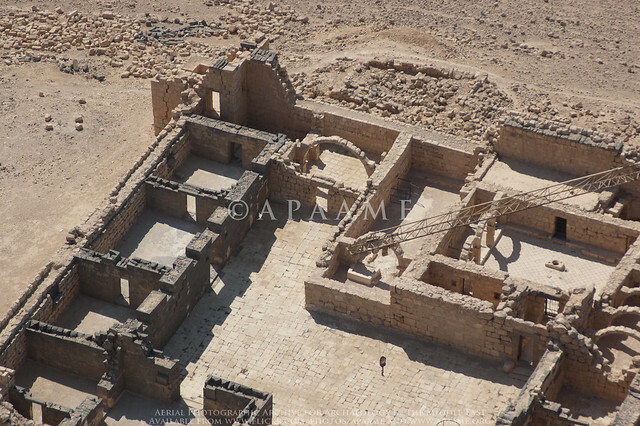 The site started life as a Roman fort (and possibly an earlier, Nabatean site too) and then developed – as the balance of power shifted - into a Christian church and then an Islamic centre of power and religion. Ignacio then treated us to a rare and stimulating open-air lecture, on his version of the history of the region from the early Roman period, through the Ummayyad expansion and up to the Abassids (10th century AD. This tour de force introduced not only a wonderful overview of the reasons for the collapse of the Roman, Persian, Ottoman and British empires (it was the nomads…) but also new concepts to the barriers for a modern appreciation of new insights; hence the title of this page, the Limes Academicus. The barriers (Limes) being in the minds of scholars not seeing the importance, throughout both prehistory and the historical periods, of the social relations between the conquerors and conquered, between (especially in this region) nomadic tribes and the farmers in settled villages and towns. It wasn’t all about power and the economy but the long-term impact on the local, indigenous population too. The other part of the title is not only because of the amazing work the Spanish and Jordanian teams have done on the reconstruction at Hallabat, but also at the nearby bath house, with the very appropriate name - the "Baths of the Desert" or Hamman as-Srah; where the dome has been reconstructed (on the inside) using a wonderful fluted design of wood. So unexpected and such quality but the sting in the tail is that project is in dire needs of extra funds to complete its work. 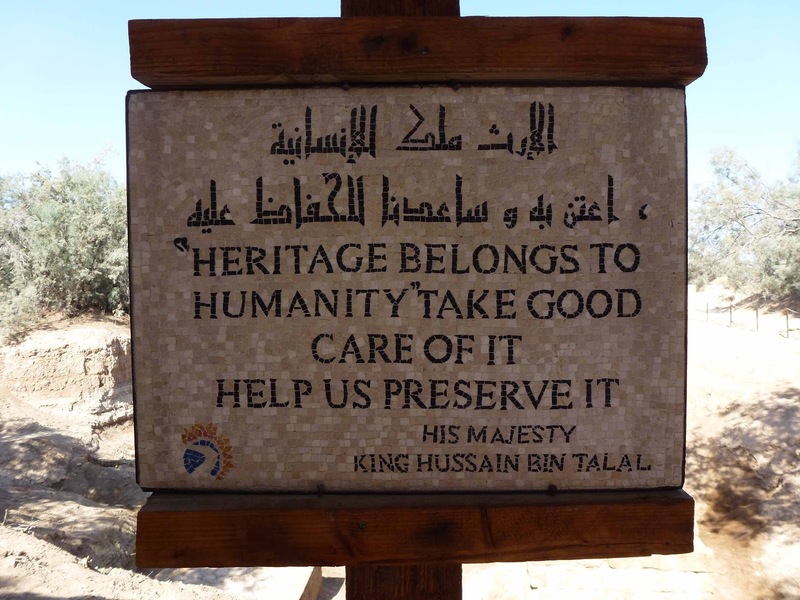 If only there was a Heritage Lottery Fund in Jordan…. Westerners delight in pointing out examples of unfortunate translations into their language(s) from Arabic, Chinese etc. It can work the other way, too, as we discovered last Sunday when visiting an old friend, Colonel Bassem Halawani in his office at Mafraq Air Force Base. On his wall was a photo of a helicopter in flight. 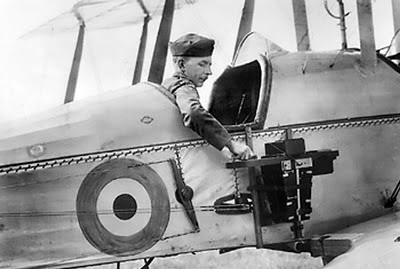 It had been presented by a French team that had worked with the RJAF and made the photo, framed it and added a brass plate, briefly commemorating the occasion. The French colleagues had written their names in roman script but had used an online translator for the date and the name of their organization. Unfortunately, knowing no Arabic, they did not realise that when they asked for the Arabic for ‘Cooperation Gendarmerie’ the software returned a message saying "We apologize for finding no search results". That went on the plate …. much to the amusement of the RJAF pilots. The dust has now cleared and we were able to undertake a very successful flight around the north-west of Jordan. 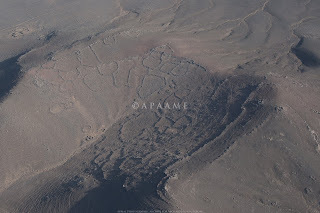 2000 photos of over 80 sites have been added to the archive, and are now viewable at our flickr site in the set Flight 20111002.